As part of the course, you learn a lot about the human respiratory system – how it’s not lack of oxygen but buildup of CO2 that causes your body’s need to breathe, how the mammalian dive reflex reduces your heart rate by up to 50% while submerged in water, and how the lungs shrink to 1/3 (!!) of its original volume at 20 meters. Then, using this knowledge and diaphragmatic breathing techniques, you learn to hold your breath past the point when your body starts telling you that it needs more oxygen! It’s amazing – armed with this knowledge and relaxation techniques from meditating (ha, it’s already come in useful), I went from a 1 minute breath hold to a 3:20 breath hold in only six attempts! 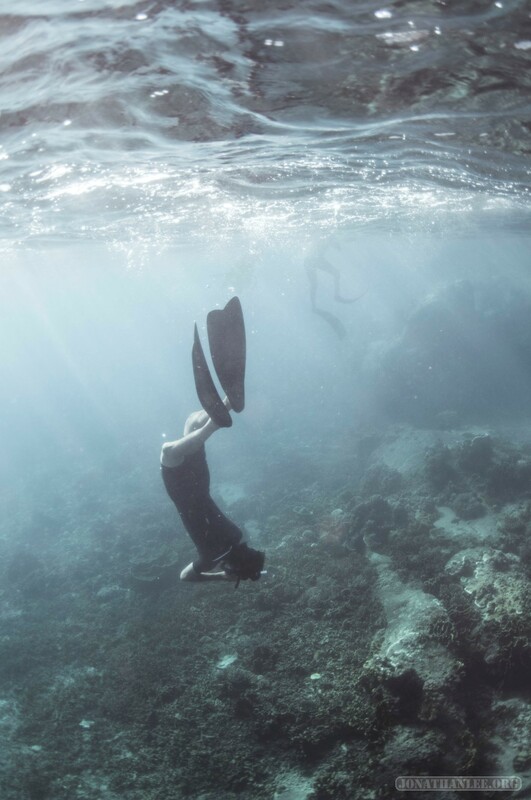 Of course, actually holding your breath while freediving in the churning ocean is a lot different from holding your breath in a peaceful classroom, especially when you’re deep underwater! I think my record in the open ocean was somewhere between a minute and a half, and two minutes – on a day so stormy that the boat wasn’t strong enough to head back to port – we had to continue on to the other side of the island, and take a taxi back! It’s frightening, how quickly conditions on the ocean can change. While the ocean was calm, I had just taken a breath and gone under, but by the time I came up a minute later, the wind was howling, rain was falling, and it was as if I had passed through a portal into an entirely different world. 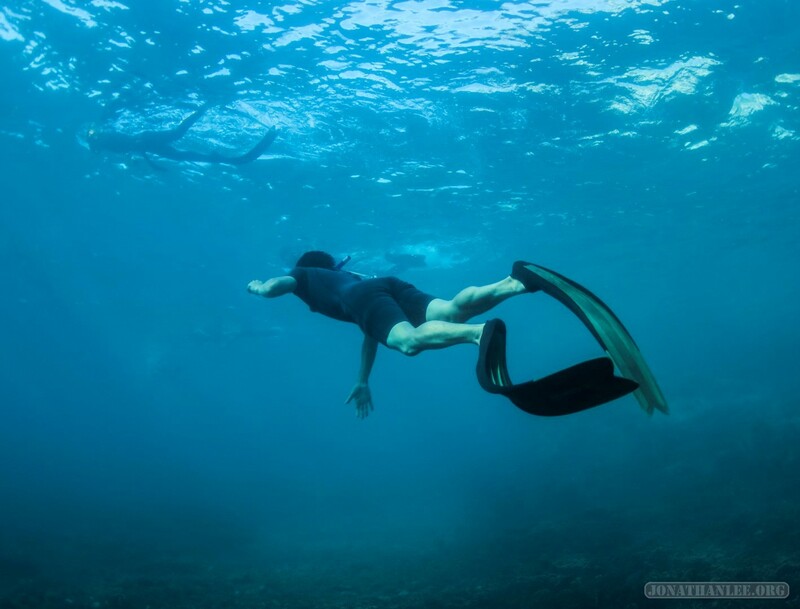 For me, the hard part about freediving is something called equalization. Just like when you ride an airplane, your ears hurt due to imbalances in pressure, but much more intensely than when flying. So, as you descend into the depths, you have to use special techniques to relieve the pressure on your ears. Unfortunately, I have very narrow eustachian tubes, and so have immense problems whenever I descend head-first, but I’m working on practicing the Frenzel equalization technique to combat that problem! But it’s totally worth it – the best part about freediving is going to explore coral reefs freely, unencumbered by air tanks and other scuba equipment.